Dr. Erin Flynn-Brown is an alumnus of the University of Minnesota at Crookston and a graduate of Northwestern Health Sciences University. While attending Northwestern, she became especially interested in chiropractic care for pregnant women, infants, and children. Dr. Erin completed additional chiropractic training and is certified in perinatal and pediatric chiropractic care from the International Chiropractic Pediatric Association (ICPA). She is also Webster certified, which is a technique utilized to reduce intrauterine constraint in pregnant women. Treating the entire family has become Dr. Erin’s passion. She modifies her adjusting technique and style to best serve the needs and preferences of each patient, as she recognizes that each person is unique and what works for one patient may not work for another. 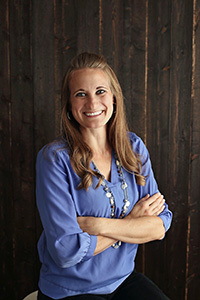 Prior to chiropractic college, Dr. Erin pursued a pre-physical therapy degree. Having this educational background plus a father-in-law in orthopedics has given her unique insight of the medical field. Dr. Erin strongly believes that care for the patient should be individualized and is willing to work with a multitude of other health professionals to get optimal results for each patient. She firmly believes that chiropractic care is important for everyone and can benefit all people, no matter what their current health status. In her personal life, Dr. Erin is the proud mother of a toddler named Bobby, a newborn Camille (Cami), and two furry babies (a cat and a dog). When not in the office, she most enjoys spending time outdoors. As a former collegiate athlete, if she can’t be outdoors, she enjoys working out or playing sports. Volleyball is her personal favorite as she played at the university all four years while pursuing her bachelor’s degree. She also enjoys cooking and baking when trapped inside. Dr. Erin and her husband, Dr. Bob, love spending time with their families and often travel to their hometown areas of Bloomer, WI and Brainerd, MN to see family and watch Bobby and Cami interact with all their cousins!